Can you please tell us a bit more about yourself and your love for watercolours? I was born and grew up in Japan. I moved to the USA to study for a master’s degree in international education in business. After earning an MA, I worked for several years in California in the area of international marketing. Although not trained formally in art, I have always enjoyed drawing and painting. About 10 years ago I decided to paint full-time, not as a hobby any more. I chose watercolour because I particularly liked the luminous, fluid quality of the medium and the way it allows me to express myself. Being primarily self-taught, it has been quite an interesting but challenging journey not only artistically but professionally as well. However, I feel the medium of watercolour has chosen me, rather than me choosing it. I would like to continue this journey to explore this wonderful medium. What is the most important lesson to remember when making art? I believe that there is a reason behind each piece of work we create. We must always remember what inspired us to do that work in the first place. I think, ultimately a painting has to be about our feelings and emotions towards whatever we choose to paint. To me this is more important than all the other aspects of a painting including various techniques to execute it. Are there any works of art or artists that particularly inspired you? I have always loved the work done in an impressionistic way, that intrigues me to take a more intimate look. 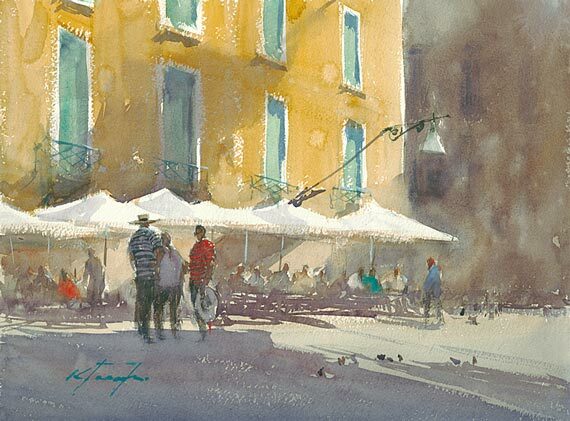 I am also drawn to the work with a strong contrast of light and dark and a certain mood that is pleasing and inviting. Do you have advice for anyone who would like to improve their watercolour skills? And, finally, as we offer painting holidays in Venice, Sicily and Tuscany – where would be your most inspiring place in Italy to paint? 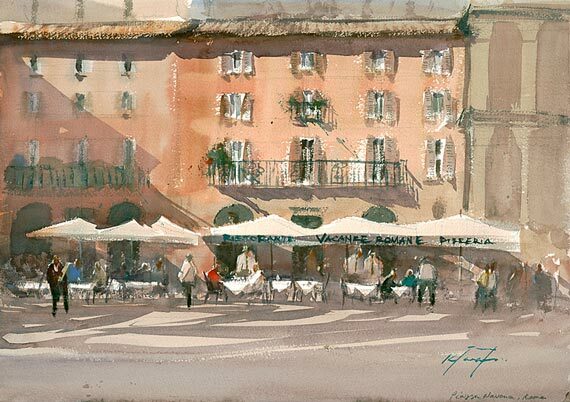 I have painted in many locations in Italy including Venice and the region of Tuscany, both of which I found very inspiring and beautiful in their own unique ways. I have never been to Sicily and would love to go there to paint one day. Thank you very much Keiro for this wonderful interview! Do you feel inspired and would like to set free your inner artist in Italy? 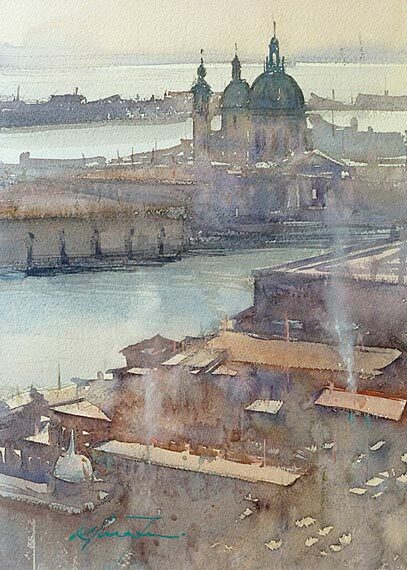 Then check our watercolour painting holidays in Italy here! Keiro’s work has been purchased by private and corporate collectors from all around the world. She also had her paintings featured in leading art publications in the U.S., Europe and Japan. She self-published several books of her art since 2012. Keiko currently lives in San Diego, California. 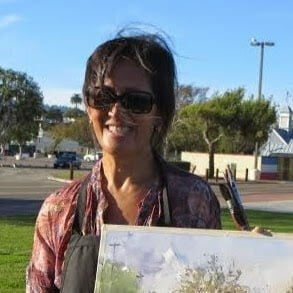 For more on her workshops and exhibitions, please visit her website www.ktanabefineart.com.